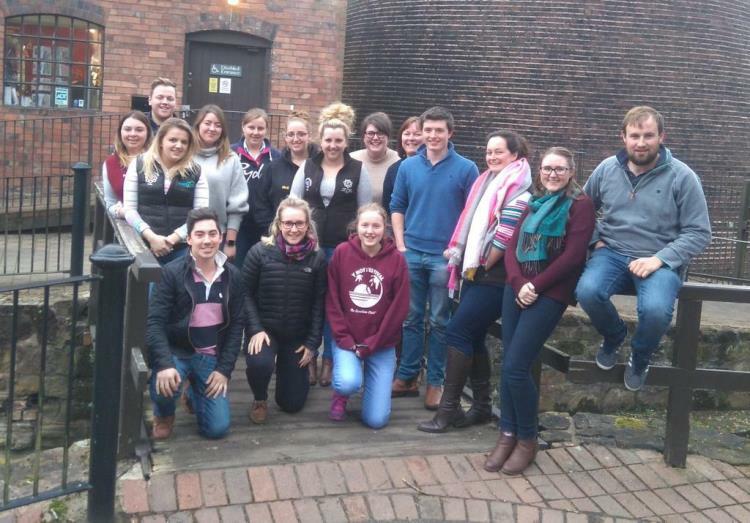 Improving techniques and learning best practice were some of the skills that 16 YFC members picked up on the latest Train the Trainer course in the West Midlands. Participants came from Warwickshire, Worcestershire, Shropshire, Staffordshire, Herefordshire, Derbyshire and Montgomery and will be taking back their new skills to develop training and deliver courses such as Club Officer training and Curve modules throughout their counties. Everyone who attended the course passed and now has a recognised qualification that is certified by The Institute of Training and Occupational Learning (ITOL), which is a great addition for their CVs. 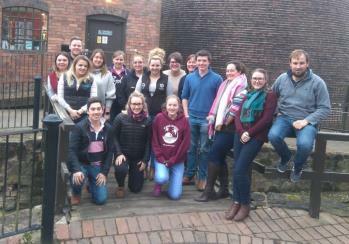 Megan Hadley from Pencombe YFC in Herefordshire told us about her experience on the two-day course. 1. What did you think of the course? I thought it was great. An insight to different ways to train people and also a great place to network and find out how other counties deal with different things. 2. What new skills have you learnt? A general overview about training. Different ways to train, different techniques and best practice. 3. How are you planning to use those skills within YFC? I will be involved in delivering the Curve Modules to YFCs across Herefordshire. 4. Will the training help outside of YFC? In my job role as a Product Manager for a Prepaid Card in the Payment Industry, I have to train clients on our system. This will help me with the techniques I use. For more information about the training course, visit our Courses section. 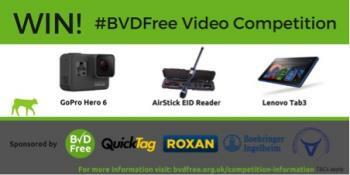 The opportunity to win a range of prizes including a GoPro Hero 6 is on offer to YFC members, aged 18-26, who create a short video promoting the importance of BVDFree. The competition, which is being run by BVDFree England, is aimed at increasing awareness of the national Bovine Viral Diarrhoea (BVD) eradication scheme, to support a brighter future for the next generation of cattle farmers and industry workers. Judges will be looking for entrants to tell them why this scheme is important for our cattle industry, their farm and/or their future. Entrants should show an understanding of how the disease and the national scheme work and are encouraged to let their imagination run wild in the short video (max 90 seconds). The videos will be used across the industry to increase farmer awareness of the risk of BVD and inspire English beef and dairy farmers to get on board and register with the scheme. For information on how the BVD Virus and the BVDFree Scheme work and to find out more information about entering the competition visit the website here. 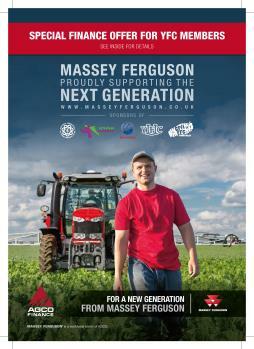 Massey Ferguson, a worldwide brand of AGCO Corp (NYSE:AGCO), through its finance partner, AGCO Finance, is further supporting the next generation of farmers with the offer of a special finance package. The new package is open to those agricultural businesses where a member of the YFC of England, Wales, Scotland, Northern Ireland and Ireland plays an integral role. The role could be one of an owner, a partner, a director or a key individual working within that business. This special scheme is offered through AGCO Finance and can be claimed when an agricultural business is purchasing a new or demonstration Massey Ferguson tractor. The current standard finance scheme is 1+2 annual payments at 0% interest which would require the business to pay a third of the amount financed immediately, followed by a further third in 12 months’ time and the remaining third in month 24. The new special scheme allows the business a pause of 12 months before paying the first payment of a third. This special scheme is only applicable up to a maximum of 50% of the tractor’s RRP (Recommended Retail Price). Thus, under the special finance scheme the first repayment of £20,000 would fall due in month 12, second payment of £20,000 in month 24 and the final payment of £20,000 is due in month 36. If annual payments are not suitable, AGCO Finance can adapt the repayments to reflect the cash flow of a customer’s business. This may or may not impact on the amount of interest charged. Qualifying young farmers for the scheme are members of one of the following: the National Federation of Young Farmers' Clubs (NFYFC), the Wales Federation of Young Farmers' Clubs, Scottish Association of Young Farmers' Clubs (SAYFC), the Young Farmers Clubs of Ulster and Macra ne Feirme. The young farmers must be involved within the business purchasing the tractor - for example a partner/director, son/daughter, grandchild of the owners or a key individual within the business. Massey Ferguson tractors range from the 38-46hp MF 1700 Series right through to the 270-400hp MF 8700 S Series and are all eligible for the special finance scheme. For further information and full terms and conditions, please contact your local MF dealer or AGCO Finance direct on 02476 851834. Massey Ferguson is one of the world’s leading farm machinery brands and offers a full-line of products and services including tractors, combine harvesters, balers, Hay & Forage tools and materials handling equipment. NFYFC is calling on its younger members, aged under 18, to give their views on activities, events or projects they would like to see. 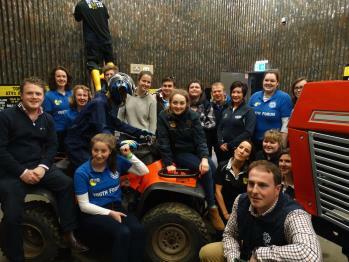 NFYFC’s Youth Forum, which represents the views of younger members, is meeting on 4 February and wants to hear feedback to help guide its work. There are 14 members of the Youth Forum that will meet in Edinburgh next month and the meeting forms part of their Residential Weekend. As well as team building activities, including quad biking and clay pigeon shooting, the group will be welcoming new members and bidding others goodbye. 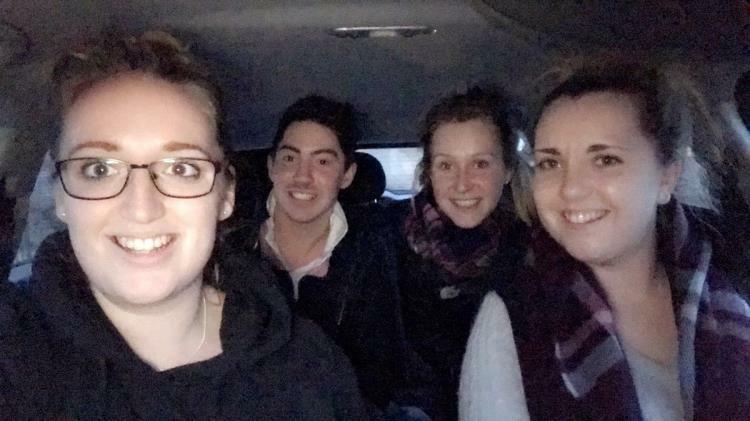 They will also hand over projects during the weekend and review the work of the other four Council Steering Groups to ensure their activities consider younger YFC members. Their feedback will be given to the Steering Groups ahead of the national Council meeting on 16-17 February. If you would like to send ideas and suggestions to the Youth Forum, please email Jodie Green. Could you win Rural Youth Europe’s Project of the Year 2017? If your YFC or County Federation worked together on a project with a common goal, on a voluntary basis, you could enter the The Rural Youth Project (RYE) of the Year competition. The competition is designed to share innovative local projects with all organisations under the RYE umbrella. The winner will be awarded with two places to the European Rally - this year taking place at the Bridge of Earn, Scotland. The winners travel expenses to the Rally are refunded up to the value of 250 Euros. 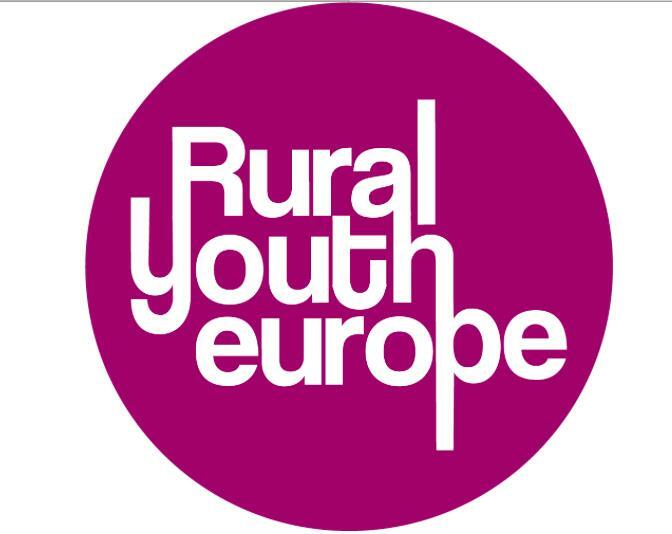 Each member organisation of Rural Youth Europe can submit a maximum of 3 projects. If NFYFC receives more than three projects, a short listing process will take place, identifying the three projects that showcase the best of NFYFC against the judgement criteria (details within the document 'RYP 2017 Call for entries'. Create an automated presentation no longer than three minutes. Further details of the project specification are listed within the document 'RYP 2017 Call for entries'. Submit the submission form and presentation to NFYFC on or before Wednesday 21 February 2018. Please send to Erica Attwood . NFYFC will send submissions to RYEurope by the final deadline. Please download the call for entries for more information on the selection process at RYEurope and NFYFC looks forward to receiving your entries on Wednesday 21 February. A new mental health campaign is being launched in February (12-16) by the Farm Safety Foundation to raise awareness of depression in the farming community. Whilst the UK’s farmers are renowned for the attention they give to their livestock, crops and machinery, The Farm Safety Foundation says unfortunately farmers do not have such a good track record when it comes to taking care of themselves and their own wellbeing. Levels of depression are thought to be increasing and suicide rates in farmers are among the highest in any occupational group (ONS). The situation is compounded by the fact that farming tends to be an innately conservative culture and there is often stigma and taboo attached to mental health. This can hinder people’s willingness to speak about the issue and to seek help. Many in the industry have highlighted the impact of mental health and wellbeing on farm safety. 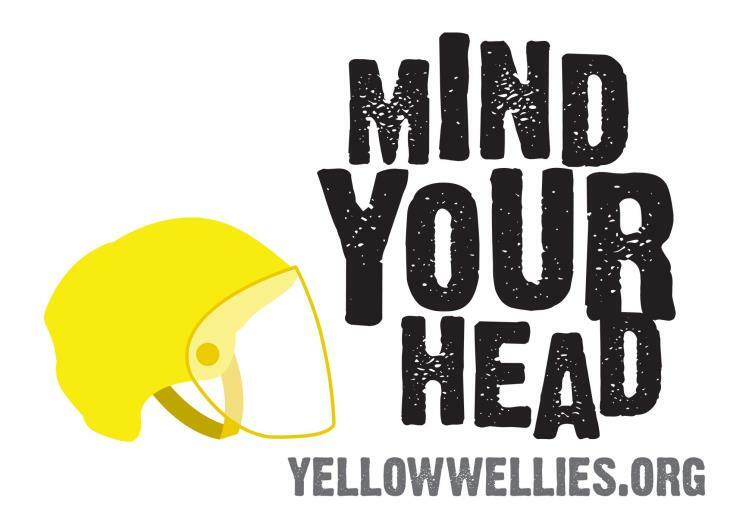 The Mind Your Head campaign aims to raise awareness and inform farmers and farming communities about the role they play in identifying and supporting those with mental health issues. YFCs are encouraged to support the campaign in association with the work NFYFC does around Rural+ and raising issues of rural isolation. You can help by highlighting the messages of Mind Your Head by running a Rural+ Curve module in your YFC.